(FORTUNE Small Business) – Utopia is where you find it, whether in grandiose visions of futuristic metropolises or in something as mundane as the never-ending quest for a cleaner, irritation-free shave. For King Camp Gillette, it was both. Best known as the man who invented the safety razor, he also published several books in which he envisioned an idealized and, frankly, ludicrous incarnation of modern society. It's not such a surprising parallel, really--inventors, much like utopians, are often dismissed as crackpots, and both camps have to suspend an unhealthy measure of disbelief to pursue their vision. In any case, while Gillette's loftier fantasies of a single "world corporation" that eliminated the evils of competition never materialized, they didn't cloud his sharp business sense, which he used to achieve a more pedestrian utopia: revolutionizing the way people shave. 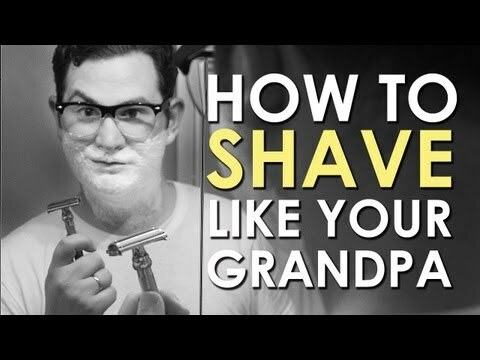 Shaving has always been a rather bizarre ritual. It's not clear who first proposed that men should scrape a sharp piece of metal across their faces, although straight razors did come into common use in England around 1660. By the 1890s, not much had changed: There were crude safety razors, but their blades had to be stropped daily and eventually resharpened by a cutler. Even the most perfectly honed blade typically caused nicks and cuts. Many men, agreeing with the Russian proverb "It is easier to bear a child once a year than to shave every day," spent time and money entrusting the task to their local barbers. Such was the state of shaving when King Gillette was working as a traveling salesman. His first utopian tome, The Human Drift, published in 1894, had somehow failed to catapult him to world renown. Gillette had always had a tinkerer's bent--he already had several patents to his name--but, as he put it 25 years later in his company's newsletter, the Gillette Blade, "They made money for others, but seldom for myself, for I was unfortunately situated not having much time and little money with which to promote my inventions." During a conversation with his boss, William Painter, who'd become rich by inventing a cork-lined bottle cap, Gillette got some provocative advice. "Why don't you try to think of something like the Crown Cork, which when once used is thrown away, and the customer keeps coming back for more?" Gillette replied, "It is easy to give that kind of advice, but how many things are like corks, pins, and needles?" Within that exchange lies the keen anticipation of 20th-century disposable culture, as well as the inherent struggles of the lone inventor. It set Gillette on a path that would ultimately make his name one of the world's most valuable brands and his face among the most recognized. It also contains the germ of a very modern startup story, complete with power struggles between the inventor and his investors, last-minute reversals that changed the fate of the company, financial scandal, and moments of genius and madness along the way to becoming established. But first Gillette had to solve painter's riddle and find the perfect disposable product. Gillette thought constantly about what Painter had advised. "I applied the thought to every material need, but nothing came of it," he wrote. One spring morning in 1895, the idea struck Gillette as he went to shave and found that his razor had grown unworkably dull. As he later explained, he envisioned a new type of razor blade, one that could be "made cheap enough to do away with honing and stropping and permit the user to replace dull blades by new ones." This concept, which challenged the centuries-old notion of a razor as something that could last a lifetime and even be bequeathed to a son, became Gillette's new obsession. He wrote to his wife, "I have got it; our fortune is made." The young company struggled with its limited capital and was quickly in the hole $12,000. "Delays were so serious that Gillette was almost persuaded to shut down and say goodbye to all the rainbows," recalled a friend to the Wall Street Journal. Nickerson, whose business judgment had an inverse relationship to his technical skill, solicited an offer from some New York acquaintances. "They agreed to put up $150,000 for 51% of the stock of the company," he wrote in his exhaustive, nine-part story, which appeared in the Gillette Blade. Nickerson's deal was flatly rejected by Gillette and company. Gillette turned to John Joyce, an investor in one of his earlier failed schemes, who provided additional cash infusions that let Nickerson create the production equipment. But Gillette did so at a significant price: He sold Joyce much of his own stock, making Gillette a minority shareholder in his invention and ultimately setting the two men on a collision course. The first Gillette razors and blades appeared in mid-1903: A razor plus one blade was priced at $5, and 20 blades --each in a decorative wrapper bearing King Gillette's stately visage, printed in ink the color of money--cost $1. The firm announced its entry into the safety-razor market with a magazine ad that began, "We offer a new razor," the first volley in what would eventually become a full-scale advertising broadside, no small irony since one tenet of King Gillette's utopian vision was that society would be ad-free. But then, just the idea of a utopian thinker's devoting himself to making money was jarring. "It was almost as if Karl Marx had paused between The Communist Manifesto and Das Kapital to develop a dissolving toothbrush or collapsible comb," cracked biographer Adams. The company sold only 51 razors and 168 blades that first year. But testimonials from grateful men began to pour in, and Gillette's invention appeared to be on the verge of fulfilling its promise. The inventor, however, was miserable, as he had kept his day job working for his old boss selling corks and had been transferred to London at the beginning of 1904. "I did not wish to go," Gillette said in his company account, "and urged the razor company to make a salaried position for me. But those in control [meaning Joyce] refused to meet my wishes, giving as a reason the need of every dollar for development of the business." Gillette resigned as president before sailing with his family for London. As the product started to take off--Gillette Co. sold more than 90,000 razors and 10,000 blade packets in 1904--the company ran into significant production woes, and it needed money to solve them. Joyce proposed licensing the international rights for an ongoing royalty in an effort to raise capital, and when Gillette got word, the inventor immediately set sail for the U.S. to block the move and take a more active role in the company. (Gillette, in the long run, was right to do so, since foreign sales sustained the company in times of trouble during the 1930s and 1960s.) Gillette made some fancy boardroom and stock market maneuvers to regain a controlling stake in his company, push Joyce aside to vice president, and finally take a salary. Although Gillette truly was more idea generator than manager, he did oversee the company as it first established itself. "Two keys to the company's rapid sales growth were distribution and advertising, areas in which it was destined nearly always to excel," wrote Adams. In distribution, the company quickly shifted from mail order to a dealer network, and it kept a close eye on retailers, particularly in an effort to prevent discounting of the pricey $5 razor. Gillette first devoted 25 cents per razor to advertising but doubled it in 1905 as sales increased. "The whole success of this business depends on advertising," Gillette told company directors in a 1912 memo, perhaps overstating matters slightly. The company's early ads focused on the advantages of the new razor when compared with the old ways, but by the late 1900s, ads began featuring testimonials from baseball players like Hall of Fame shortstop Honus Wagner. It was the first link between shaving and sports, one that would prove more valuable to the company a few decades later. Gillette understood that the key to the company's success was always in selling blades, not razors. "The greatest feature of the business is the almost endless chain of blade consumption, each razor paying tribute to the company as long as the user lives," he wrote in a 1906 memo. And when the company boosted blade prices by packaging just a dozen for $1, a canny profiteering move that many consumer-products companies would later copy, Gillette knew how to assuage the customer. "We hope to have a better blade," he wrote to his brother-in-law, "and have it machine polished, which will improve its appearance very greatly." Overall, Joyce's assessment of Gillette's management as "increasingly capricious, unclear, and contradictory" is probably not far from the truth. A flood of copycat products had necessitated a series of stressful patent-infringement suits, and Gillette held up assigning the company some patents he held personally, leading Joyce to wonder whether he planned to leave and start a competing firm. He also didn't like Gillette's squirreling away cash for unspecified future projects when that money could have been issued as dividends to shareholders like Joyce. Finally Joyce bought out two-thirds of Gillette's holdings in 1910 for $900,000 and a yearly stipend in exchange for the patents, and the founder was happy to secure his wealth and avoid corporate battling. Gillette retained the title of president, but it was largely ceremonial. Although he didn't have a role in day-to-day operations, Gillette kept abreast of company affairs through letters to associates in management, occasionally chiming in with ideas. During World War I he proposed that the company give a Gillette razor to every soldier as he entered the military. Even better, decided company execs, why not sell the razors to the government at cost and let it do it? The company designed a metal-cased shaving kit for American infantrymen, pitched that "Every man in khaki ought to have one," and by the war's end, American GIs had used 3.5 million Gillette razors and a staggering 32 million blades. More important, this military monopoly seeded Gillette's future, since many of the young recruits continued to shave with Gillette upon returning home. Besides attracting customers, Gillette inspired a wave of knockoffs as its original patents were expiring in 1921. Anticipating that avalanche, the company designed and patented an improved model, promoting it by knocking its predecessor. "Any other razor you've ever known is crude," read the ads. Gillette didn't discontinue its old model, though. Instead it repackaged the razors, sold them at a cut-rate discount, and introduced an intermediate version as well. That gave Gillette a market presence at three price points--a forerunner of approaches that would later become common--and strengthened its overall market share. In its pursuit of ever-increasing growth in the 1920s, though, Gillette made a number of moves that almost killed the company when they came home to roost in the early 1930s--and tarnished its founder's golden years as well. 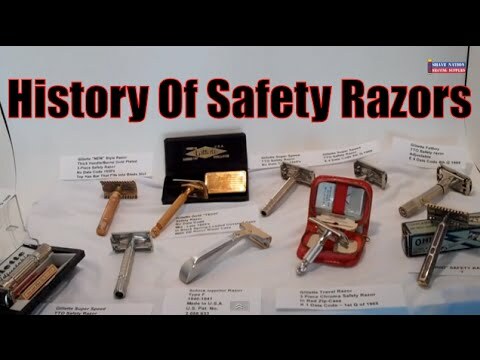 "Every effort was made to get the Gillette razor in the hands of as many men as possible," said Joseph Spang, Gillette's CEO from the late 1930s to the late 1950s, in a 1951 speech. "The idea of making a profit on the razor became unimportant. That period might be termed the 'give-away' years." Razors were given away with Wrigley's gum, pocket knives, and canned meat, among many other products, all in an effort to seed the market and sell more blades. And in the short term it worked: Gillette sold four times as many blades in the six years after the original patents expired. But the market got turbulent in 1928, when a longtime competitor named Henry Gaisman patented a new blade design and offered to sell it to Gillette. Rebuffed, he produced it himself and then sued Gillette for patent infringement after the company brought out a similar blade. Each side accused the other of design theft, but Gaisman was in a stronger legal position, having beaten Gillette both to the market and to the patent office. With its position crumbling on several fronts, Gillette agreed to a merger with Gaisman's AutoStrop company. As Fortune put it in a blow-by-blow recap in 1931, "That simple formality, the review of each other's books, brought to light a situation which was to stun the Gillette company. Actual consolidated earnings [for the previous five years] were $11.8 million less than had been published!" 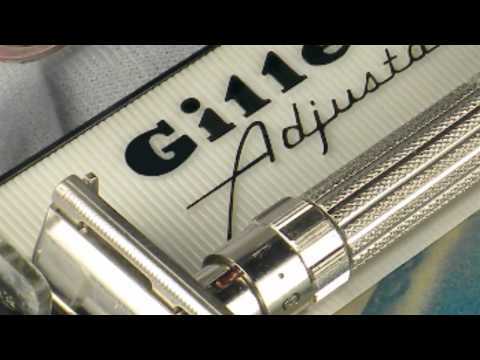 In yet another move that anticipated modern developments--this time presaging financial scandals such as the Enron debacle--Gillette had been stuffing the channel with goods and reporting them as sales while they piled up in warehouses in the late 1920s. "More darkly, as it turned out, the whole exercise seemed also to be a means by which the ruling Gillette triumvirate assured themselves of fat bonuses, computed as a percentage of reported earnings," wrote Gillette's biographer, Adams. Gaisman, his hand now stronger than ever, set forth new merger terms that would put him in control. He began cleaning house and reorganizing the company, a process that would take most of the 1930s before delivering any dividends. King Gillette served as the company's global good-will ambassador, traveling around the world in his ostensible retirement. When he wasn't on the go, he tried to help his only son, Kingie, to follow in his footsteps and be an inventor, but it never took. He settled in Southern California, bought land, and grew oranges and dates. He told a Boston reporter in 1926, "Business is good in California, and with the state's climatic advantages in mind, I can see nothing ahead but permanent prosperity." The Great Depression, compounded by Gillette Co.'s financial woes, cost him dearly. Two weeks before the stock market crashed, he wrote Gillette Co.'s director to inform him that he planned to sell a block of his company stock to pay off mortgages he had in California real estate. In failing health, the 75-year-old Gillette didn't want to have any debt when he died. Company execs talked him out of the sale, thinking about what Wall Street would do when news of the founder's sale spread. Of course, the bottom soon fell out of the stock market and Gillette Co., and "within five years the wealth that the inventor had gained from his razor would be largely gone," according to Adams. Gillette died in 1932, a year after he formally resigned as president. His company's clever use of advertising lived on without Gillette. The company returned to the key promotional relationship between men's grooming products and sports: In 1939, under CEO Spang's leadership, Gillette obtained exclusive radio sponsorship rights to the World Series (it continued as the Series' sole sponsor into the 1950s), and the company tied its name to the Kentucky Derby, college and pro football, and boxing. In 1942 all this promotional activity was collectively dubbed the "Gillette Cavalcade of Sports," a sort of umbrella brand that cemented Gillette's connection to the sporting world. "Most males in the 1940s and 1950s did not have to be told that the Cavalcade of Sports meant Gillette was sponsoring another ball game or horse race," wrote Gordon McKibben in his Gillette history, Cutting Edge. Meanwhile, Gillette engineers continually tried to advance shaving technology. The company's litany of industry firsts includes the blade dispenser (1946), which eliminated the need to unwrap individual blades; the twin-blade razor, the Trac II (1971); the pivoting-head razor, the Atra (1977); the spring-mounted blade system, the Sensor (1990); and the triple-blade razor, the Mach3 (1998). Not that there haven't been some bumps in the road. In the '70s and '80s, "Gillette was pushed relentlessly downmarket, as cheap throwaway razors made their presence felt in its markets," write Des Dearlove and Stuart Crainer in The Ultimate Book of Business Brands (1999), which ranks Gillette as the world's ninth most valuable brand. Disposable products like Gillette's Good News! cut against the company's heritage of premium quality. Gillette also had to fight off two takeover attempts in the mid-1980s. Diversification, which had moved into high gear with the 1955 acquisition of Paper Mate, the maker of writing implements, has yielded uneven results over the years. It has largely been successful in changing Gillette from a one-product company to one focused on grooming--adding items for women (see box), as well as hits like Right Guard deodorant. But some of its ventures outside the bathroom have been disappointments. Bic consistently undercut Gillette's Cricket disposable cigarette lighter, introduced in 1970, and the company's Duracell battery division suffered through 21 straight months of market-share decline from 1999 through 2001. A century after King Gillette's invention, Gillette still sells five times as many razor blades as anyone else. That may not quite be utopia, but it's certainly as much of a validation as any visionary could ever dream of.